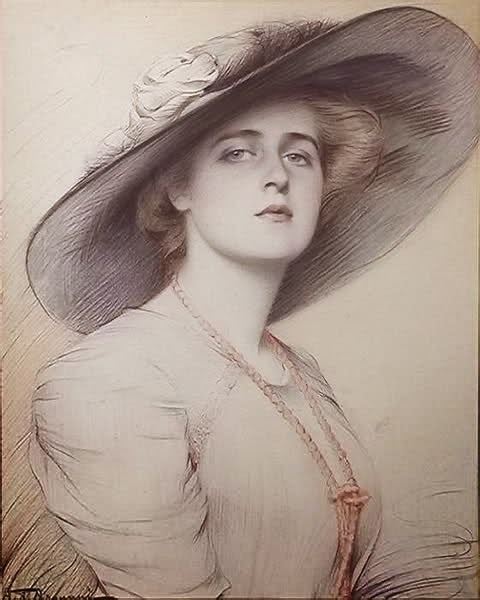 Elisabetha Charlotte Josephine Alexandra Victoria, the daughter of Ferdinand, Crown Prince of Romania, and his wife, Marie of Edinburgh, was born on 12 October 1894 at Peleş Castle, near Sinaia. Although her father was a Roman Catholic, he was forced to obey the Romanian constitution and baptise his daughter in the country’s official religion, Greek Orthodox. The Pope wasn’t very understanding, and had Ferdinand excommunicated. Elisabeth’s mother was a granddaughter of Queen Victoria and a supporter of all things British. 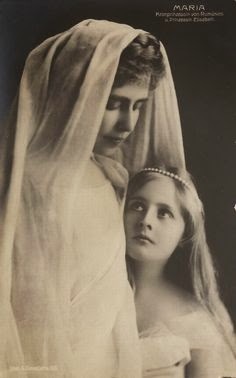 She hired English governesses to take care of her children (although, when her parents were away, Elisabeth, as the eldest daughter, was often required to look after her siblings), and British tutors to educate her children at home. An avid reader, Elisabeth loved literature, but also painting, embroidery, singing, and playing the piano. But the outbreak of the First World War put an abrupt halt to her education. During the war, the princess, together with her sister Mignon and their mother, took care of the wounded soldiers at hospitals located in the Moldova region, the only part of Romania that hadn’t been occupied by enemy troops. She also kept drawing and painting. Some of her pictures were printed in the “Calendarul Regina Maria”, whose proceeded were used for the war relief effort. After the war, in 1919, Elisabeth spent one year in Paris to study music and painting. 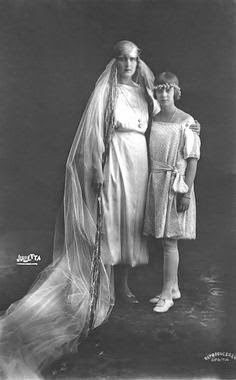 Marie was now old enough to get married, as her grandmother, Maria Alexandrovna of Russia, kept pointing out. 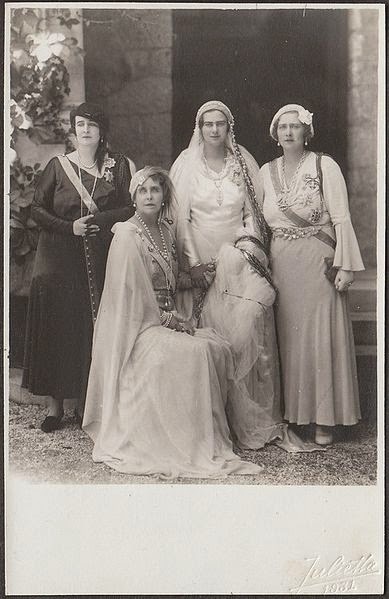 It seems the old lady was the first to suggest an union with George, Crown Prince of Greece. Queen Sophie of Greece was ecstatic at the idea. In a letter to Marie, she wrote: “We found her lovely most sympathetic and charming. Upon our dearest son Georgie she has made a deep impression. We are most anxious to know whether Nando and you would have any objections to a marriage between the two young people, who seems to have a deep feeling for each other.” The couple tied the knot on 27 February 1921. Elisabeth loved her husband, but she found life in Greece difficult. She was homesick, “mentally starved […] hungering for the music and art and affection that were showered on her in Romania”, and often left home alone as her husband spent long periods at the front. Greece, at the time was at war with Turkey. The internal political situation was in turmoil too. The republican party was busy trying to gain power and sought every opportunity to diminish the power of the monarchy and its reputation with the people. Soon, Elisabeth’s health grew worse. The princess suffered from typhoid fever and pleurisy, and had to undergo, without anaesthesia, two operations. Her parents, fearful for her life, rushed to her bedside. But, luckily, the princess recovered, although her heart, from then on, would always be weak. That year, King Constantine I of Greece, also had to abdicate in favour of his son. Upon hearing the news, Elisabeth, burst in tears. The throne she was suddenly thrust on was very shaky, and, to make matters worse, the monarchy had no money. Elisabeth was forced to economize, and struggled to pay even for necessary expenses. Still, Elisabeth did her best as Queen, even helping to raise money for the poor. In December, her reign ended. Elisabeth and George went into exile in Romania, where they settled at the Cotroceni Palace. But her husband kept spending long periods in England, and, slowly, the couple started growing apart. In 1935, they divorced. Now, Elisabeth, who had lost her Romanian citizenship when she got married, asked to regain it. She then bought a house, which had always been a big dream of hers, to decorate as she pleased, and entertain her friends in, and founded, at her own expense, a hospital and home for children in Bucharest. It was one of the most modern institutions of its type. But the peace she had found was shattered again by the outbreak of World War II. The Russians, who now controlled the country, forced King Michael to abdicate in 1947. 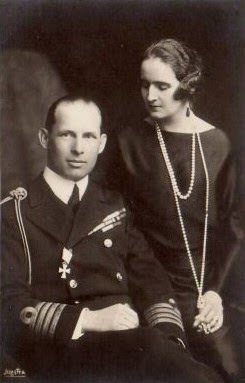 The whole royal family, Elisabeth included, was forced to leave Romania in a hurry. Elisabeth died in exile, at Cannes, on 15 November 1956.